Dr. Michael Franklin is a founding partner of Topeka Ear, Nose & Throat. 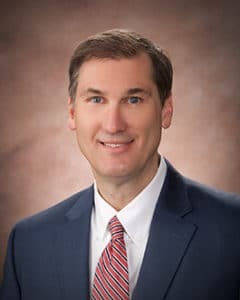 He earned his undergraduate degree at the University of Kansas and his medical degree from the University of Kansas Medical Center with a specialty in otolaryngology/head and neck surgery. He decided to pursue a career in medicine while working with farm veterinarians as a teenager. His special interests include general otolaryngology, otologic surgery, sinonasal surgery, laryngology and general pediatric ENT. Dr. Franklin is a Fellow of the American Academy of Otolaryngology – Head and Neck Surgery and the American College of Surgeons. In his spare time, he enjoys attending activities with his five children. 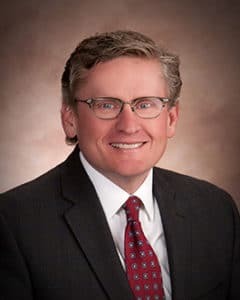 Dr. Douglas Barnes received his Bachelor of Arts from Brigham Young University and his Doctor of Medicine from University of Kansas School of Medicine. He then went on to complete his otolaryngology – head and neck surgical residency at Ohio State University. 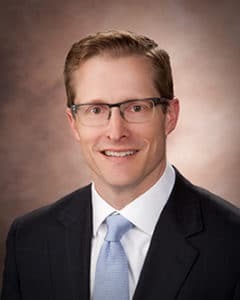 Dr. Barnes specializes in head and neck surgery, thyroid and parathyroid surgery, skin cancer reconstruction, nasal and sinus surgery, pediatric treatment and surgery, and allergy testing and treatment. Growing up, he enjoyed science, and decided to pursue the medical field after taking classes in anatomy and physiology. Dr. Barnes is a Fellow of the American College of Surgeons as well as a member of the American Academy of Otolaryngology Head and Neck Surgeons and the American Board of Otolaryngology. In his spare time, he enjoys both road and gravel cycling with his family and friends. Dr. Matthew Glynn earned his undergraduate degree at Baker University and his medical degree at University of Kansas Medical School. He went on to complete his otolaryngology residency at Ohio State University. Dr. Glynn specializes in rhinology and reconstructive surgery. He chose to pursue a degree in the medical field after working for his father in a small-town pharmacy and seeing the great need in the health care industry. He is a member of the American Academy of Otolaryngology, the American Board of Otolaryngology and the American Association of Otolaryngology Head and Neck Surgeons. In his spare time, Dr. Glynn enjoys golfing, hunting, fishing, playing outdoor sports and spending time with family. 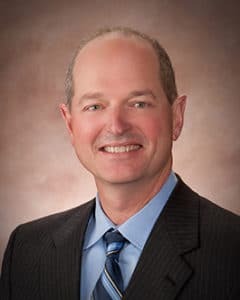 Dr. Scot Hirschi earned his undergraduate degree from Utah State University and his medical degree from University of Utah School of Medicine. He then went on to complete his otolaryngology residency at the University of Missouri. Dr. Hirschi enjoys all aspects of otolaryngology, especially his interactions with children and young adult patients. He wanted to be a doctor for as long as he can remember and was positively influenced by the kindness and compassion of several health care professionals who cared for his family while growing up. He is a member of the Kansas Medical Society and American Academy of Otolaryngology – Head and Neck Surgery. 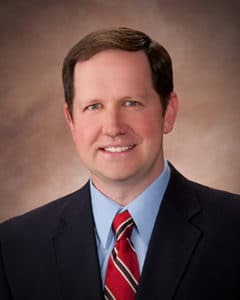 Dr. Hirschi is married with six children and enjoys doing all types of fitness activities with his family as well as gardening, reading, camping and hiking. Dr. Robert Lane earned his undergraduate degree at Utah State University and his medical degree at St. Louis University School of Medicine. He then went on to complete his otolaryngology residency at the University of Missouri. Dr. Lane specializes in ultrasounds of the head and neck, thyroid and parathyroid surgery, and all aspects of pediatric ENT. He decided to pursue a career in medicine because of his interest in biological sciences throughout high school and college, as well as his desire to serve the community. He is a member of the American Academy of Otolaryngology – Head and Neck Surgery and the American Academy of Otolaryngic Allergy. In his spare time, Dr. Lane enjoys playing tennis as well as hiking, scuba diving, fishing, hunting and spending time with his family. 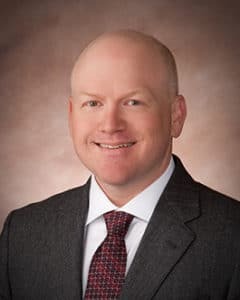 Dr. Tyler Grindal received his undergraduate degree from Kansas State University and his medical degree from the University of Kansas School of Medicine. He then went on to complete his otolaryngology residency at the University of Florida. Dr. Grindal specializes in all areas of adult and pediatric head and neck surgery. He decided to pursue a career in medicine in high school because of his desire to help people, an interest in science and a motivation for lifelong learning. Dr. Grindal is a member of the American Academy of Otolaryngology – Head and Neck Surgery. He spends his spare time with his wife and twins and enjoys riding bikes and playing tennis and basketball. 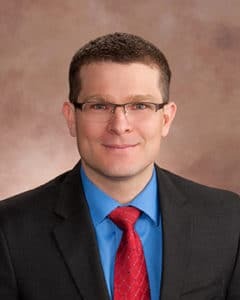 Dr. Jason Meyers earned his Bachelor of Science in chemistry from Union College in Lincoln, NE and his medical degree from Washington University in St. Louis, MO. He then went on to complete his residency at the University of Minnesota. Dr. Meyers was exposed to medicine at an early age, as both of his parents are nurses, and decided to become a doctor to help others. He is an expert in adult and pediatric head and neck surgery with special interest in sinus and ear surgery. Dr. Meyers is a member of the American Academy of Otolaryngology – Head and Neck Surgery, the American Academy of Otolaryngic Allergy and the American Medical Association. He spends his spare time with his family and enjoys outdoor activities such as biking, camping and golfing.